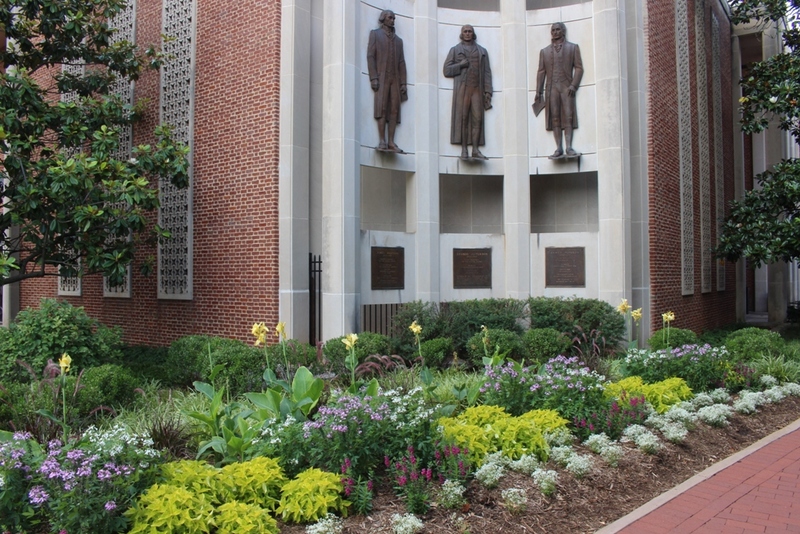 The fourth (Madison), third (Jefferson) and fifth (Monroe) Presidents of the United States stand guard over one of the main entrances to downtown Charlottesville from their eyrie on City Hall. Jefferson and Madison are two of the States’ founding fathers, and James Monroe is considered to be one too, depending on which online sources are consulted. “The best form of government is that which is most likely to prevent the greatest sum of evil.” ~ James Monroe. Not far away is the Freedom of Speech wall on 605 E Main Street. On it is inscribed the First Amendment of the US Constitution, which ironically usually lies unseen beneath all the chalked free expression. 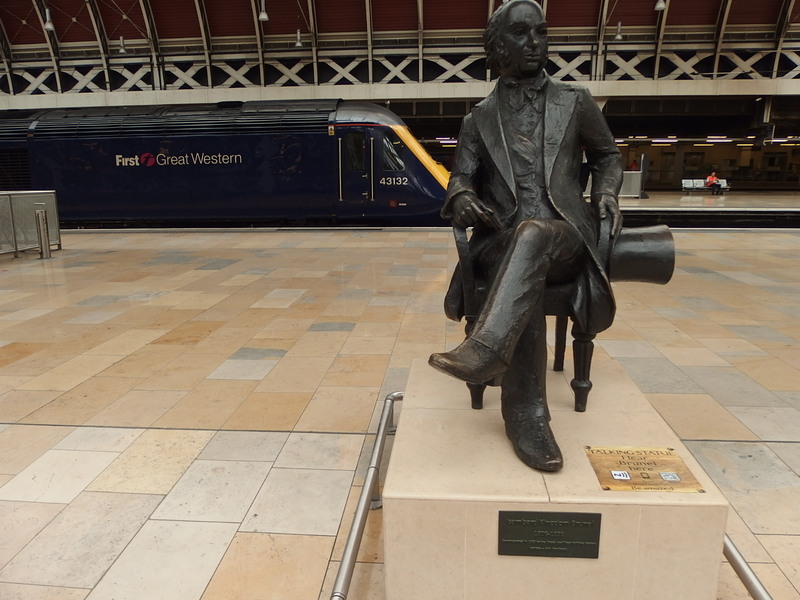 Since the last time we met Brunel, he’s moved platforms* and become one of London’s Talking Statues. The Two Tunnels stretch of the Sustrans cycle path in Bath is proving to be most popular since it opened last summer. We had an enjoyable walk through both last month and discovered quite a surprise in the tunnels themselves. 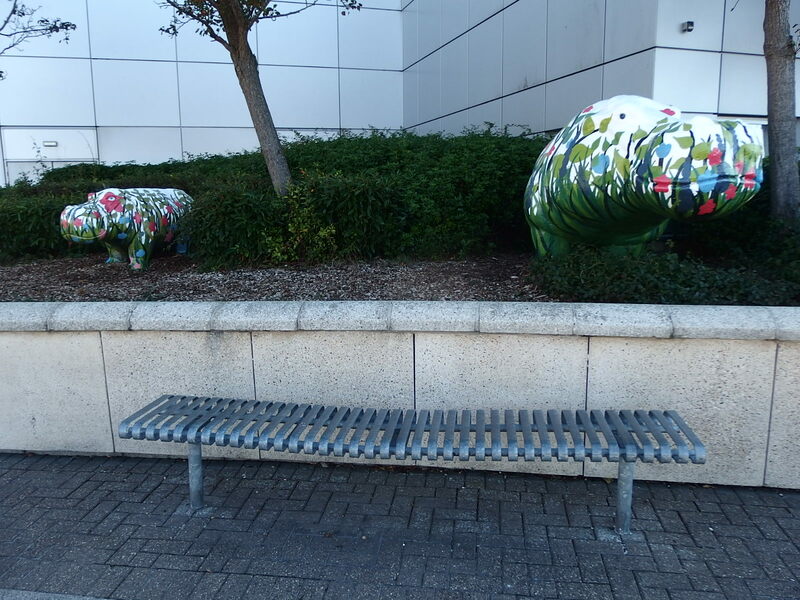 However, it’s more appropriate today to focus on the bench at the start of our walk. 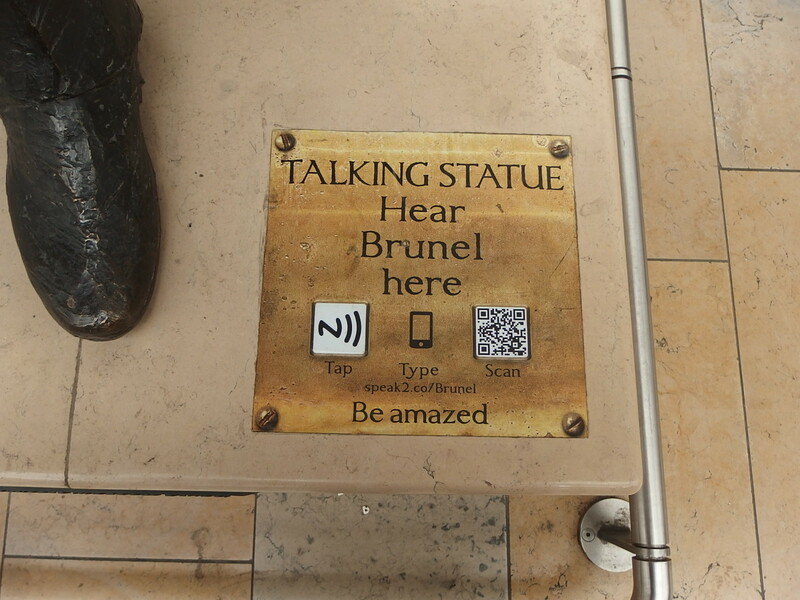 The people featured were voted by residents for their resonance with Bath. They are a Roman centurion, Harry Patch (the last Tommy) and Winter Olympic gold medallist Amy Williams. Another picture from my recent trip to Wales. So apt to find the subject matches its adornment AND during National wool week. I don’t know whether the yarnbombing was done as part of the latter, or if it’s been there for longer than that.